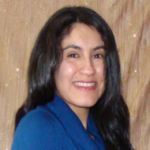 Daisy is originally from Chile where she obtained her bachelor degree in Nutrition. In 2013 she completed the Internationally Educated Dietitians Pre-registration Program at Ryerson University which allowed her to become a registered dietitian in Ontario. Throughout her career and in her field experience in Canada she have developed strong interpersonal, communication and group facilitation skills, by working with communities in nutrition education and health promotion as well as conducting nutrition assessment and counselling to clients. In Canada her community experience started in 2011 at Unison Health & Community Services in a volunteer capacity which contributed to her career development, allowing her to become familiarized with the work of community services in Toronto, in particular conducting interviews on diabetes risk assessment. Since then her passion to work in community have increased and throughout her experience, have led to employment in this setting, where in 2012 she worked as Diabetes Peer Leader Educator at The Four Villages Community Health Center with Spanish speaking groups. As a part of the Internationally Educated Dietitians Pre-registration Program at Ryerson University, Daisy completed a community practicum at Regent Park Community Health Centre, where she worked directly with the Diabetes Team. This practicum was a very enriching and touching experience for her as she conducted facilitation groups and built report with community members who were experiencing poverty, diabetes and mental illness. Furthermore, Daisy strongly believes in health equity and social justice and one of her professional’s goals is to advocate for people in need through her career.